An estimated $120 mln fee from SoftBank bolstered the broker’s earnings but failed to offset abysmal performance across wholesale, retail and asset management divisions. Job cuts and improved incentives are steps in the right direction, but thin padding against tough markets. The logo of Nomura Securities is pictured in Tokyo, Japan, November 18, 2016. Picture taken November 18, 2016. 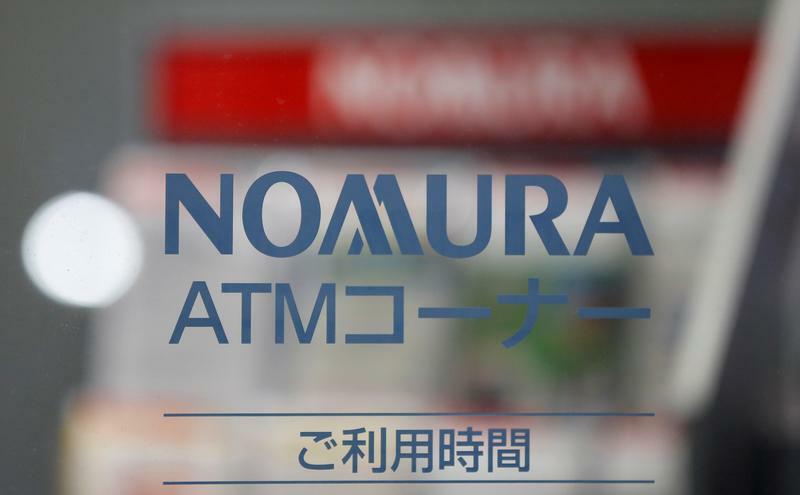 Nomura Holdings on Jan. 31 reported a net loss of 95.3 billion yen ($876 million) for the three months ending Dec. 31. It attributed the loss to a large impairment charge, as well as U.S.-China trade friction, emerging market turmoil and wider credit spreads. The Japanese bank, led by Chief Executive Koji Nagai, reported net revenue fell by 8 percent to 261 billion yen during the quarter. Its wholesale division, the biggest contributor by revenue, suffered a net loss of 95.9 billion yen, in part due to an 81 billion yen goodwill impairment charge. Earnings in its retail unit fell 55 percent to 14 billion yen.